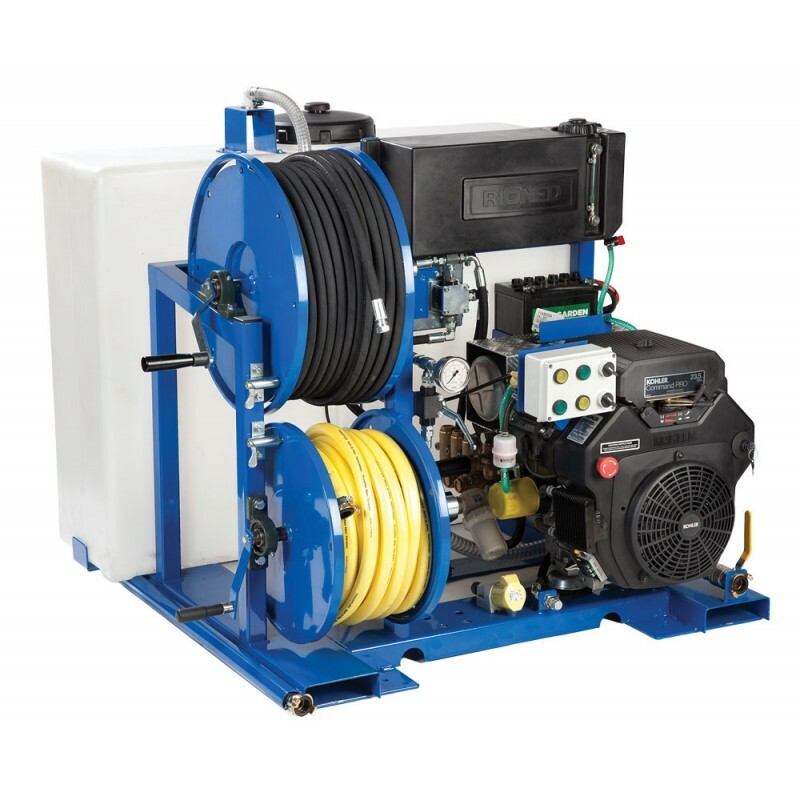 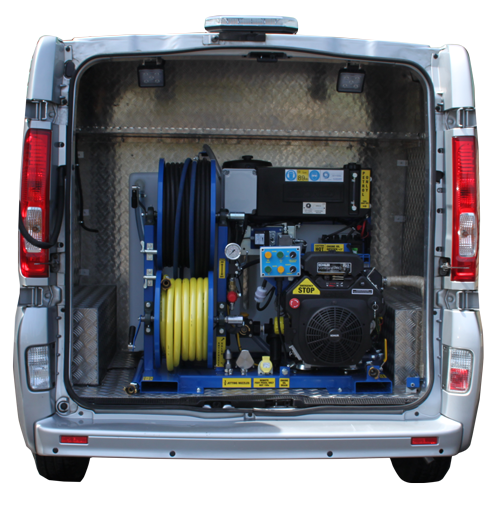 The V-Pack 1 Series high-pressure jetting machine can be installed in the smallest commercial vans due to a dry weight of under 250KG. 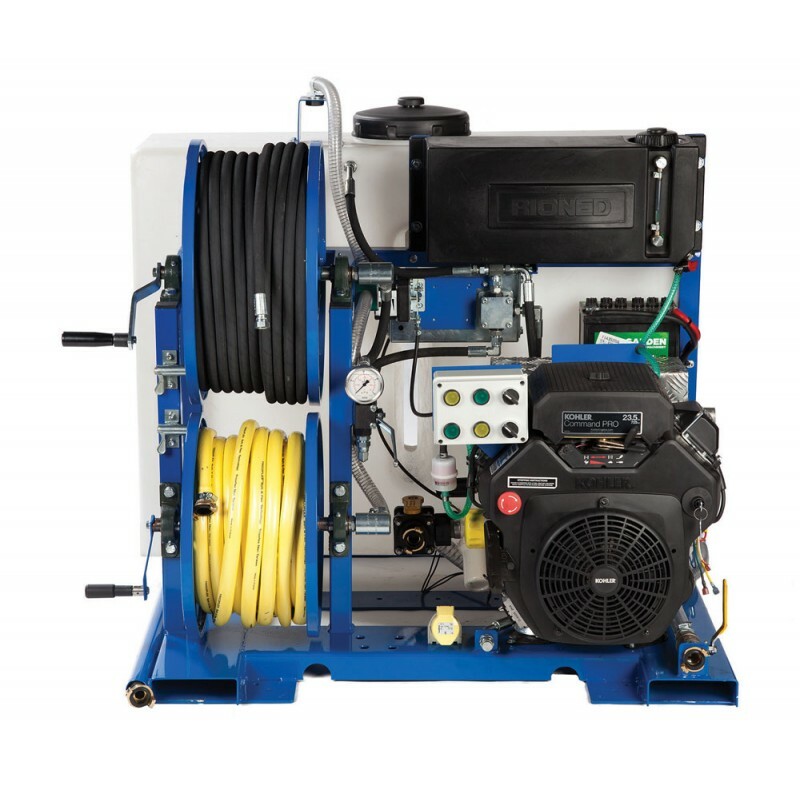 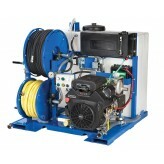 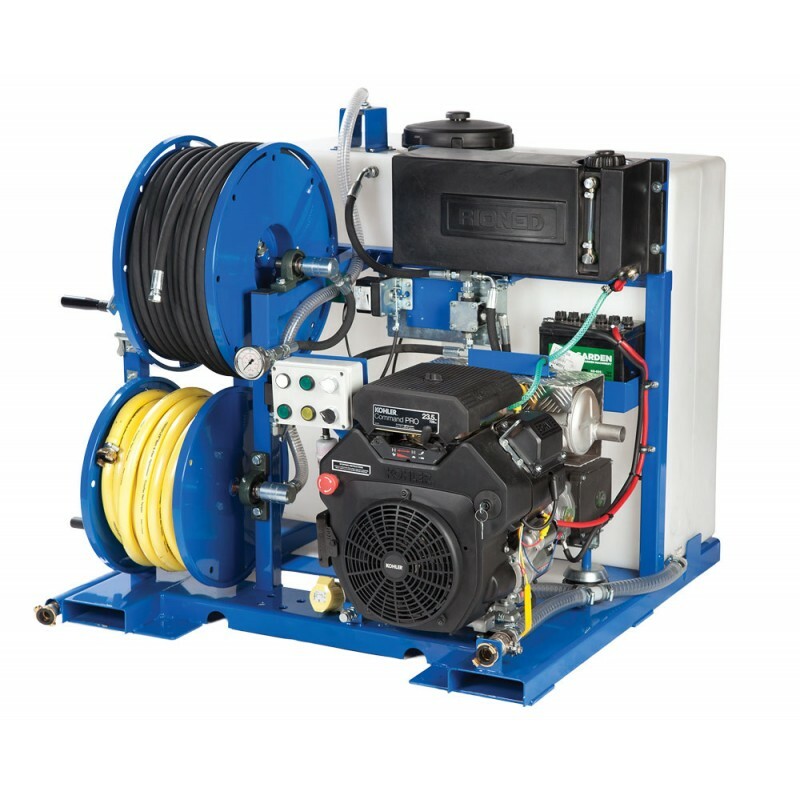 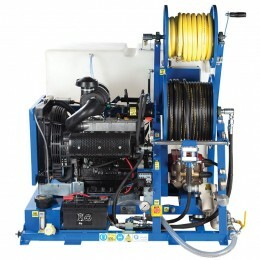 Developed with the performance and specification of much larger jetting machines, it is the ultimate low-cost solution for domestic drainage and cleaning contractors and large scale users alike. 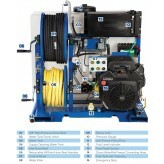 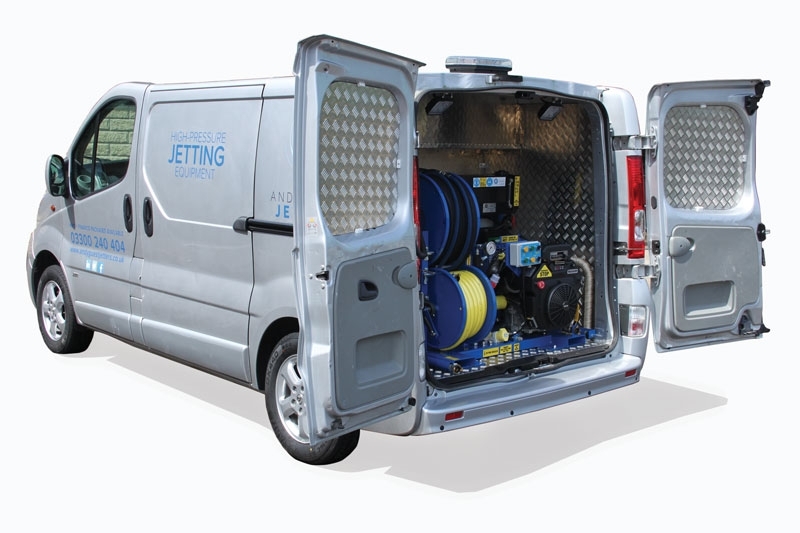 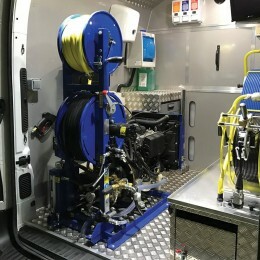 Safety was a key aspect in the design of the 1 Series jetter, with the inclusion of automatic HP pump protection and engine revs reset; features not usually available at this specification and price point. 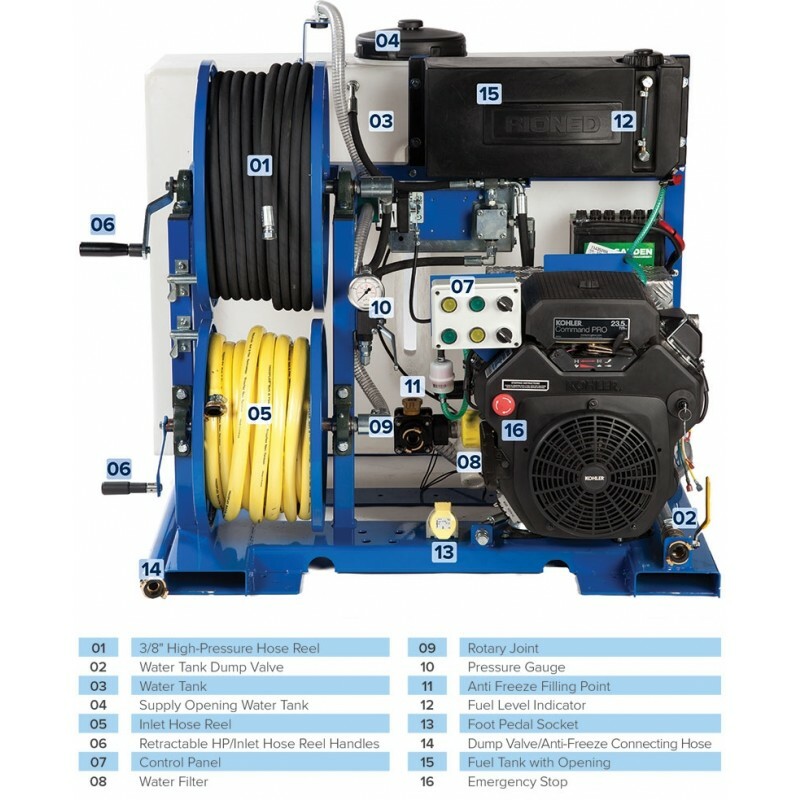 With a reliable and efficient 23.5HP OHV petrol engine, the high-performance 1 Series uniquely features a sophisticated electronic control panel that eliminates the need for traditional operation levers. 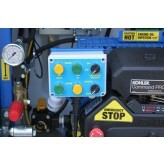 This enhances operation and means single-man remote control upgrades can be completed more cost effectively. 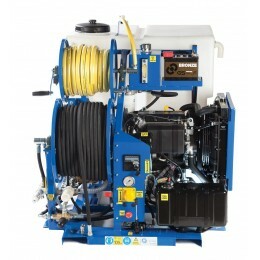 The lightweight machine features large capacity jetting and filling reels, unloader valve system and anti-freeze valve as standard. 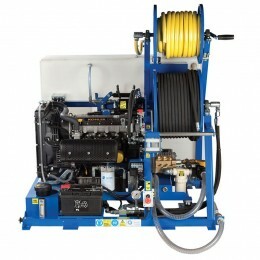 Installation and handling has been made extremely easy due to the inclusion of dedicated lifting points, and its compact dimensions mean the unit is smaller than a UK standard sized pallet.